New Hospital Open House a Great Success! 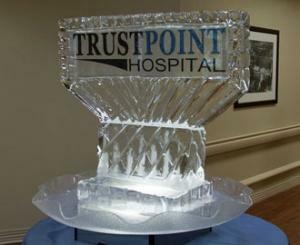 MURFREESBORO — TrustPoint Hospital held an open house on Tuesday August 14th from 4-6pm. More than 500 professionals and other members of the community attended and had the opportunity to visit with key physicians, meet the staff, and take a self-guided tour of the impressive facility. Nate Schott, DDS kicked off the celebration and acted as MC for the ribbon cutting ceremony. Allen Jackson, Senior Pastor of World Outreach Church provided the invocation. Kelly Beam, Director of Membership, spoke on behalf of the Rutherford County Chamber of Commerce and introduced several elected officials in the crowd including Mayors Burgess and Bragg. Finally, Kevin Lee, CEO of Polaris Hospital Company (the majority owner of TrustPoint Hospital) welcomed visitors to the new facility and spoke about the commitment of the team to provide exemplary service to patients and their families. Visitors enjoyed cake and punch and toured the new 70,000 square foot, 60 bed hospital that offers inpatient acute physical rehabilitation services and behavioral health services. 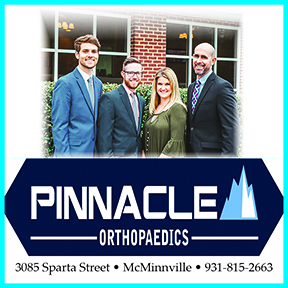 Both of these specialty services offer a level of care previously unavailable in Rutherford County and do not duplicate services provided at MTMC or StoneCrest Medical Center. The new hospital, located on Thompson Lane about one-quarter mile away from Medical Center Parkway, has opened for business and is currently treating patients. John Witt, MD (Neurology) and Sue Nuthalapaty, MD (Physiatrist) were on hand, as Medical Co-Directors, to greet visitors and answer questions about inpatient physical rehabilitation. According to Dr. John Witt, “The goal here at TrustPoint is to give the hope of recovery to patients and their loved ones who are facing a physical impairment caused by an injury or illness”. Also representing the hospital were psychiatrists Ravi Singh, MD and Ahmed Farooque, MD, both of whom have been practicing in Murfreesboro for nearly 25 years. They are Medical Co-Directors of the ClearPath Behavioral Health Program at TrustPoint Hospital. Dr. Singh shared that “the opening of this hospital is the fulfillment of my dream. It is not only more convenient for me to not have to travel out of town to take care of my patients who need hospitalization. It will also mean so much to my patients and their families to be able to receive this care close to home”. Michelle Fowler, the Director of Business Development for TrustPoint Hospital was quoted as saying, “We are humbled by the incredible turnout for this event. It just goes to show the tremendous need for these services here in our community”. According to Kevin Lee (who was introduced as having lived several of his childhood years in Christiana), “TrustPoint Hospital has opened its doors and will certainly make a real difference in peoples’ lives. And these doors will remain open for longer than any of our lifetimes. It has been the project of my life”. All of the patient rooms in the hospital are private. Each spacious room has a very large window to allow an abundance of natural light – often thought to be an important factor in the healing process. There is ample parking for loved ones – so that family visits can be enjoyable. Individuals can call 615 867-1111 for more information or to make a referral. TrustPoint Hospital is majority owned by Polaris Hospital Company, based out of Brentwood, Tennessee. Polaris currently has one other hospital located in Lubbock, Texas. Also called TrustPoint Hospital, it recently announced that it had been ranked in the top 10% of the nearly 800 Medical Rehabilitation facilities in the US for 2011 by Uniform Data System for patient outcomes.